CoreHealth has some innovative customers providing creative wellness challenges – one of which is TAVi Health. Check out TAVi’s latest wellness promotion (see below) powered by CoreHealth Corporate Wellness platform. TAVi demonstrates that if your organization is armed with the proper platform and a good imagination, you can create and deploy any wellness challenge, campaign or coaching program you can dream of. Contact CoreHealth to learn how you too can promote creative wellness challenges. 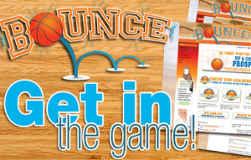 GET IN THE GAME WITH BOUNCE! If you're going to be successful in the game of basketball you need to maintain peak physical conditioning, optimum hydration and be in tune with an overall game plan. In this innovative challenge, "players" (your participants) perform healthy activities aimed at moving up in the ranks among basketball superstars. They begin the game as a "Prospect" and as they perform activities they accumulate points to help them get drafted into the pros, become a starter, reach the all-star game and even get inducted into the Hall of Fame! During Bounce, players perform a specific set of activities, earning points for each day they complete cardiovascular activity and get at least 8 glasses of healthy hydration. They also earn points weekly for completing a Game Plan detailing when they will exercise. As points are accumulated, players move up through the ranks striving to eventually make the Hall of Fame! AVAILABLE AS AN INDIVIDUAL OR TEAM CHALLENGE! TAVi Health is also a partner on the CoreHealth Wellness Network. 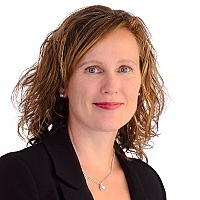 They offer unique, comprehensive ‘ready-to-implement’ Challenge Kits and fun, engaging and effective online challenges - developed by seasoned Health Promotion Professionals. For complete details about wellness challenges, contact CoreHealth or TAVi Health.